I am a retired Computer Programmer and Elementary School Teacher. I currently combine both of these experiences by volunteering to teach computers to Seniors at a local Senior Center. I specialize in iPad Courses, as I love the device. 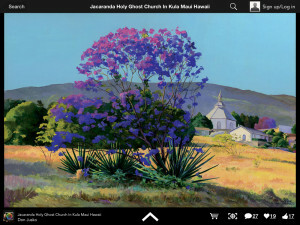 Pixels.com is an app for viewing and purchasing artwork that uses the iPad’s camera to allow you to see how the artwork will look on your own wall. 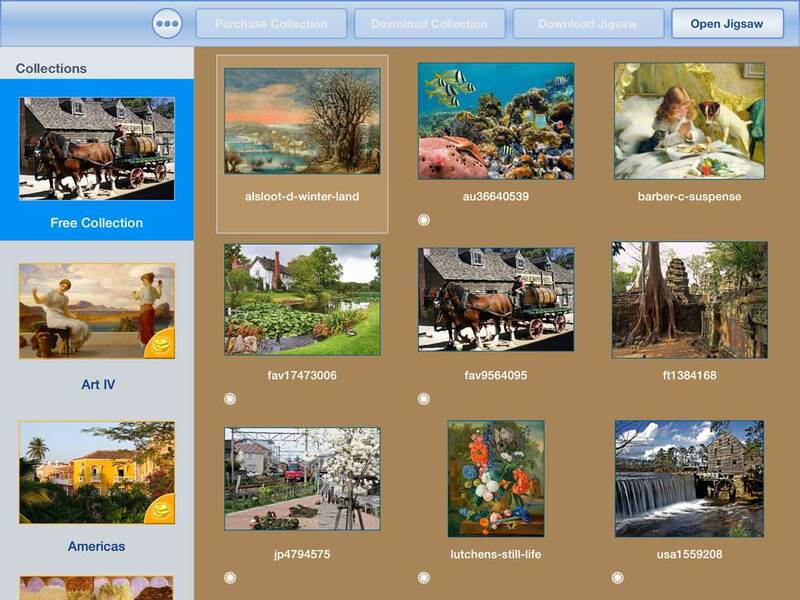 The app is based on the pixels.com website for artists, photographers and art collectors. 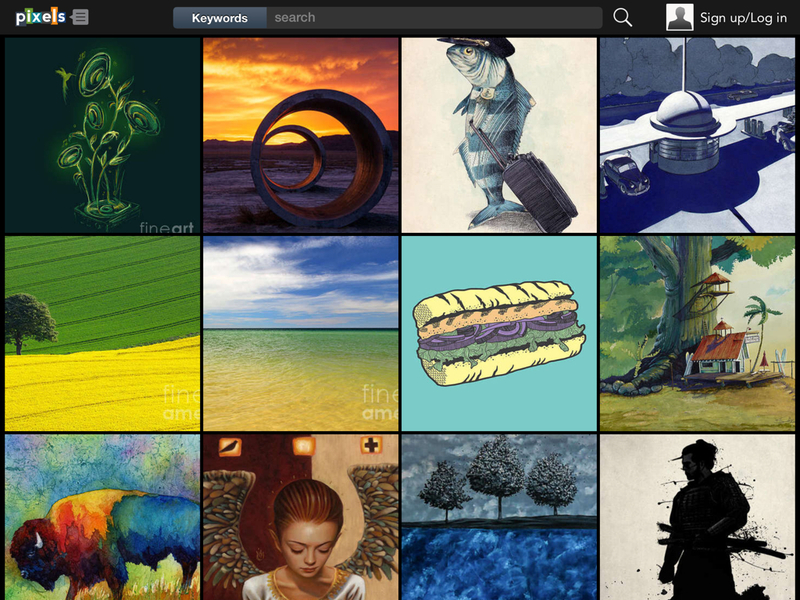 Artists and photographers upload their images and pixels.com sells them to art enthusiasts in various formats. The iPad is a good venue for displaying artwork. 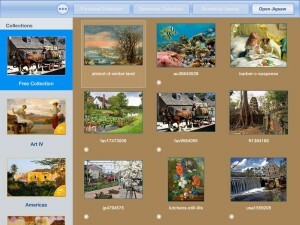 This app takes it a step further by allowing consumers to visualize the artwork in their own homes. 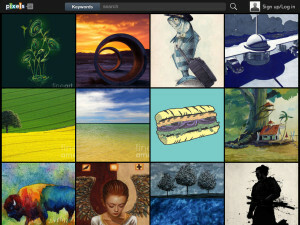 The app contains a large amount of artwork and photography by living artists. When you open the app for the first time, it may take a while to populate the screen with artwork. You can scroll through the thumbnails or do a search. When you find something you like, touch the thumbnail and the art will open in full screen. 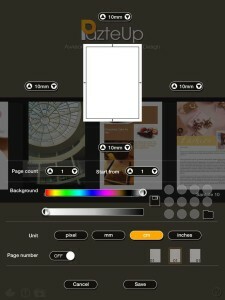 PazteUp is an iPad app that serves as a page layout design tool for creating flyers, posters, invitations, etc. 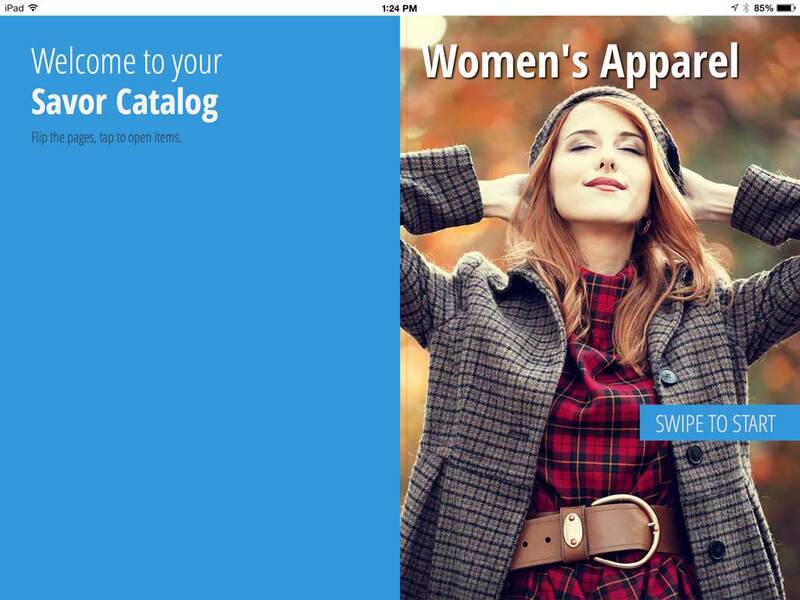 You can use the sample templates that come with the app or design your own layout. 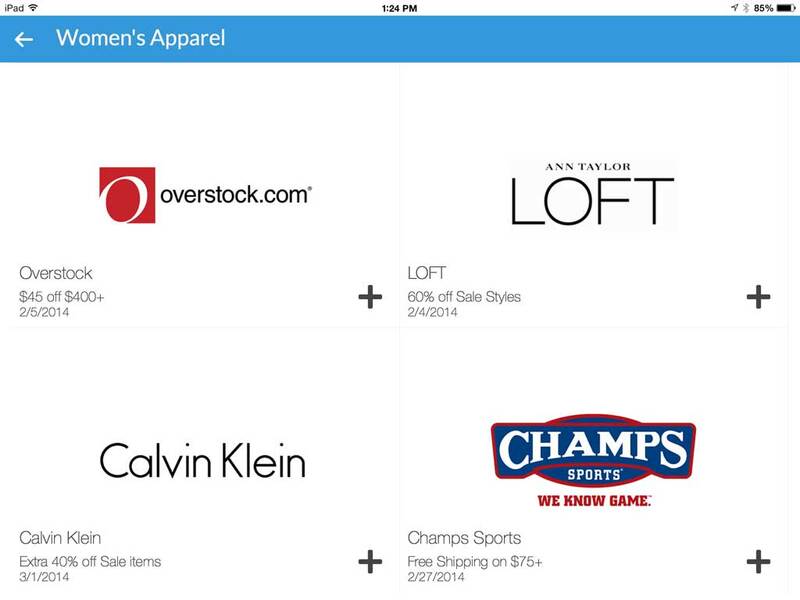 The app ultimately creates PDF files that can be saved to a variety of locations. When you open the app for the first time, you are prompted to create a new project. 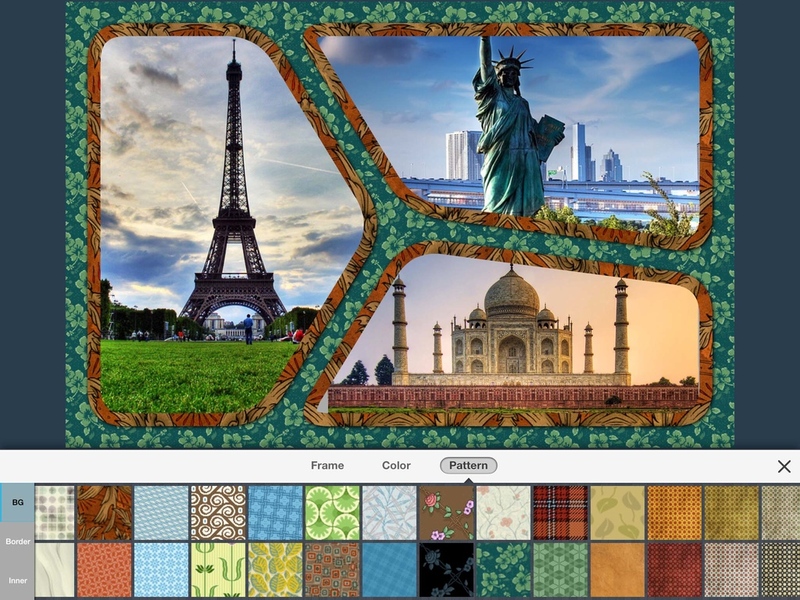 You can choose from 10 templates or create your own layout. 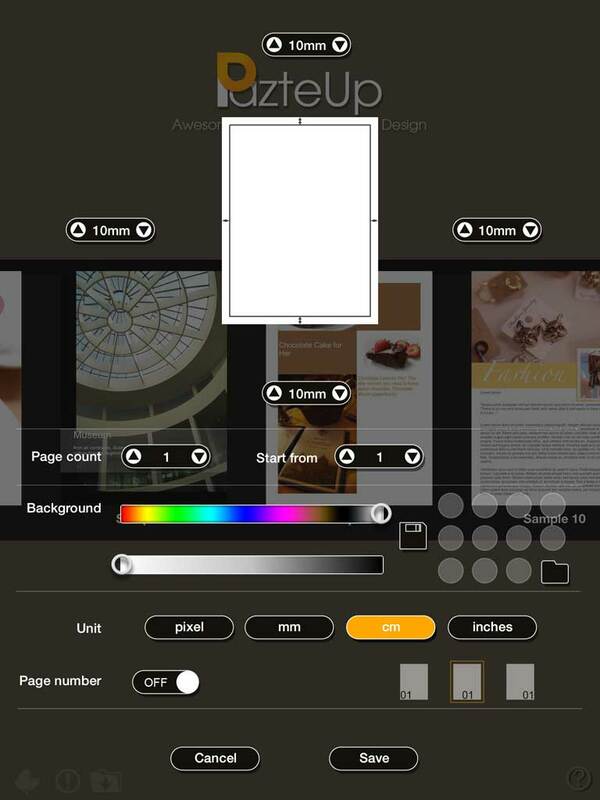 After you have used the app, the opening screen shows your projects and also allows you to add a new one. I tried editing one of the templates but found it easier to create my own layout. When you choose a blank layout, you are prompted to provide a name for the layout. You are then taken to the settings screen shown above. On this screen you can modify the size of your main page, select the number of pages, choose a background color and turn page numbers on and off. I found the screen a little intimidating, but it was easy to select a background color for your layout. There were 2 slider bars, one for the basic color and the second for the shade of that color. Save your settings and you go back to the main screen. There is a toolbar on the bottom. The first button will save your project and go back to the home screen The second button is the settings screen just described. 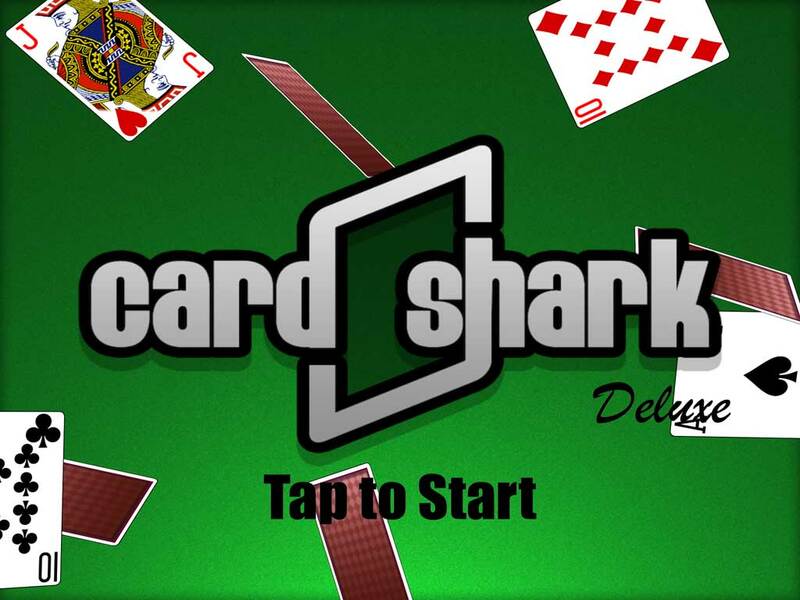 Card Shark Collection Deluxe is an app for solitaire enthusiasts. 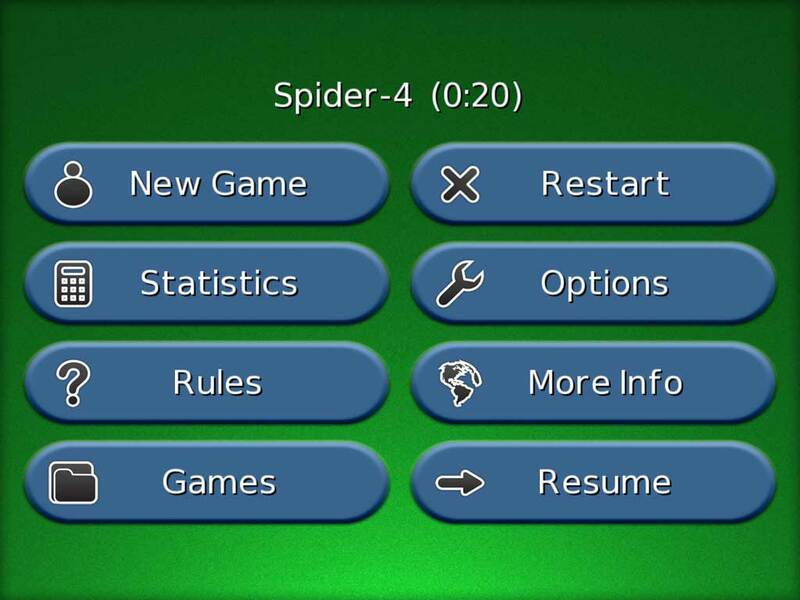 I was a big fan of the 4 deck version of Spider Solitaire on my desktop computer. Since an iPad is a comfortable way to play solitaire games, I began seeking a good version of Spider Solitaire. I tried several apps and then I discovered Card Shark. 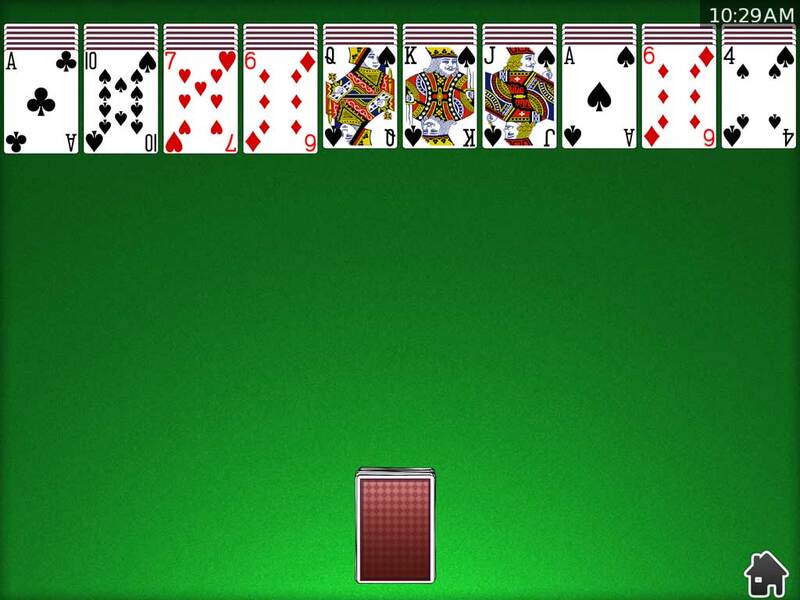 This is an app with a multitude of Solitaire games including Spider Solitaire. The first thing that impressed me is the ease of moving the cards. It is very quick and smooth. 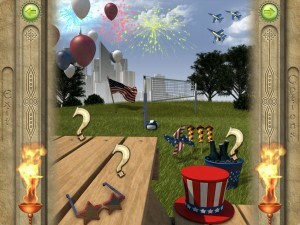 I was also pleased with the features and variety of solitaire games. Card Shark Collection Deluxe has over 70 different solitaire games including the 1, 2 and 4 deck version of Spider Solitaire and 1, 2 and 4 deck versions of Spiderette which is a smaller version of Spider Solitaire that is quicker to play. When you start Card Shark, it remembers the last place you were. 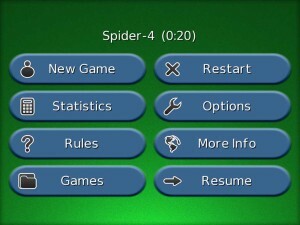 This is an opening screen of the 4 deck version of Spider Solitaire. Touch and drag the cards to the appropriate pile. When there are no moves, touch the deck at the bottom to deal another row of cards. When you start playing, you will see 2 arrows at the bottom left. They are the Undo and Redo buttons which will let you undo or redo your moves. If you want to start the game over from the beginning, touch and hold the Undo button at the left. 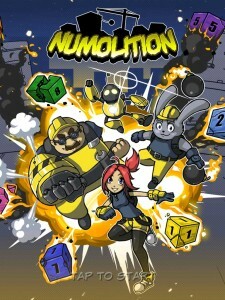 At the bottom right is the “home” button. Touch this and you have several choices. New Game – This wil bring up a fresh game of the card game you were playing. Statistics – This will show statistics for your play of the game. They include what percentage of games you have won out of games you have started, the total time you have played that game, the average playing time, the fastest win time and number of moves, your current win streak and longest win streak and the average win time. You also have the option to reset the statistics for the game. Rules – This is your how-to-play for the game. Restart – Restart the current game. Resume – Go back to where you were in the game. Do you like to look for new recipes? Yummly is an iPad app that allows you to browse through photographs of suggested recipes. If you are looking for something specific, you can search for recipes by ingredients, dietary considerations, recipe course, etc. When you find a recipe you like, you can save it and/or “Yum” it. 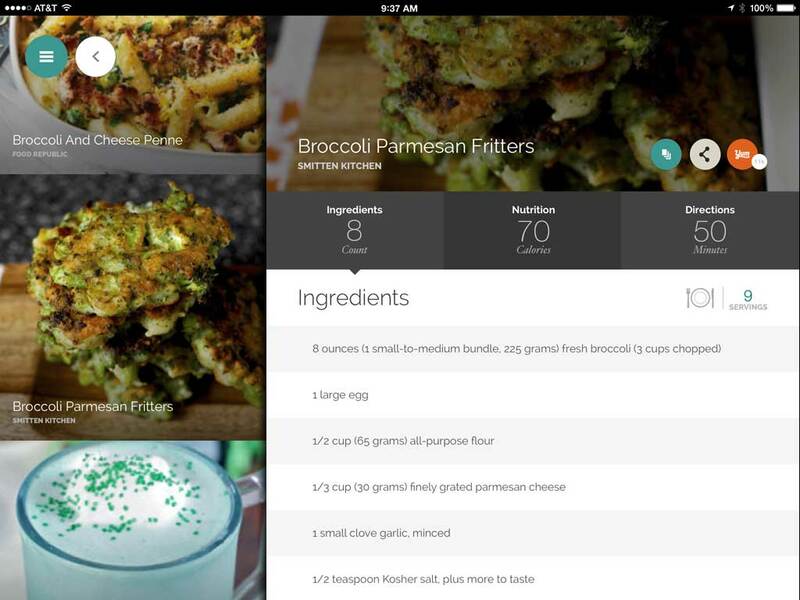 Share the recipes with your friends. When you open the app, you are asked to sign in via Facebook or Google +. You can skip this step, but you need to sign in to save the recipes. In addition, you need to sign in to use the Yum button. This is akin to a “Like” button on Facebook. 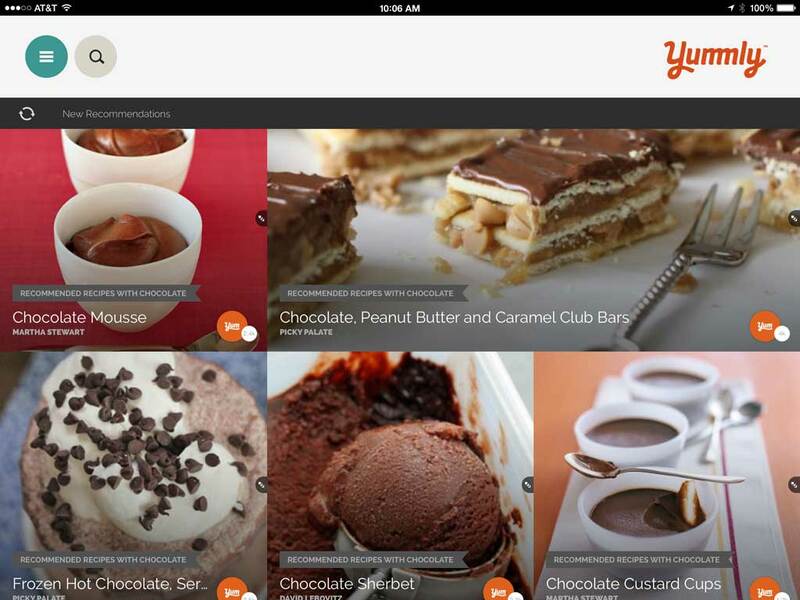 The Yum button tells the app what kind of recipes you are interested in to learn what types of recipes to show you. I elected to sign in using Google +. When you give it your Google password, you can set options as to whether or not you want the app to reach people in your circles. I opted out of that. The app has a very nice interface. You are presented with photographs of suggested recipes. Touch one of the photographs and you will be able to view the recipe. You can look at Ingredients, Nutrition information and Directions. The tabs for these contain useful information on the headings themselves. The ingredients tab shows the count of the ingredients. The Nutrition tab shows the calories. 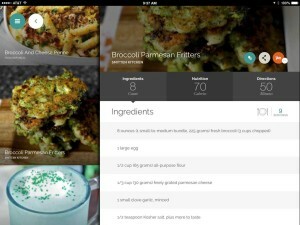 The Directions tab shows the time it takes to create the recipe. This is a nice feature that allows you to quickly determine if the recipe is worth looking further at. Touch the Ingredients tab and you scroll through the ingredients. Touch the Nutrition tab and view the nutrition information. 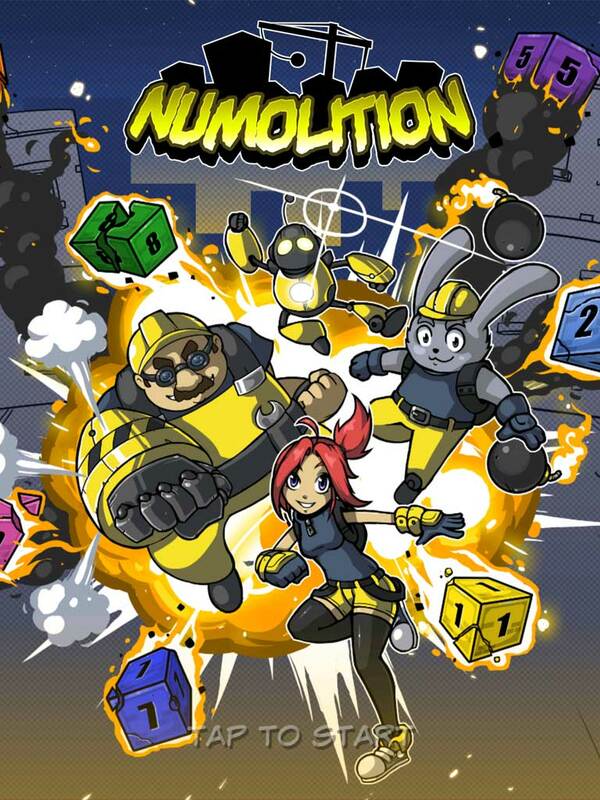 Numolition is a simple but addictive game. There are many levels. Completing a number of levels will unlock challenges. When you start the game you are walked through some simple levels. The idea is to explode groups of matching numbers. You can explode numbers that are next to each other. You can move the boxes to get numbers next to each other. You can also move a box with a number on top of another box and it will create a new box with the sum of the two numbers. You can only “add” numbers up to the number 9. 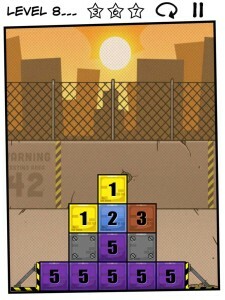 Here is an example from Level 8. Move the top box with “1” to the left so it is next to the other box with a “1”. Explode the ones. Move the box with the”3″ on top of the box with a “2” and it will become a box with a “5”. 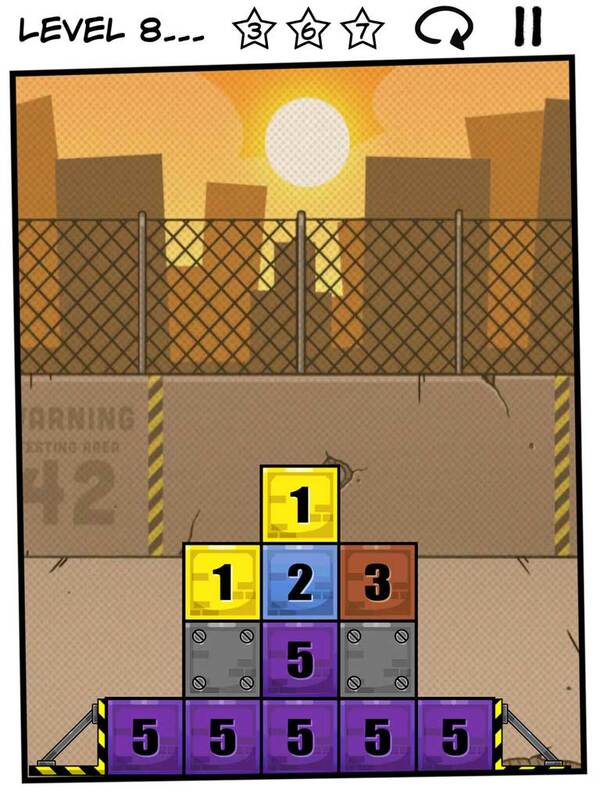 Now you can explode all the 5’s and complete the level. 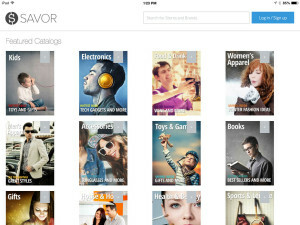 Savor is a Flipboard like Shopping Deals app for the iPad. 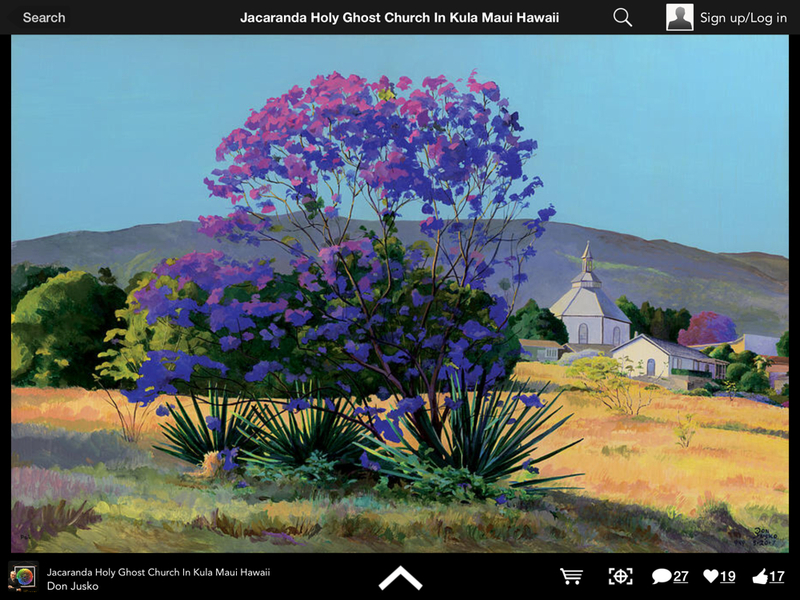 Being a fan of both the Flipboard app and getting a good deal, I was eager to try out the app. 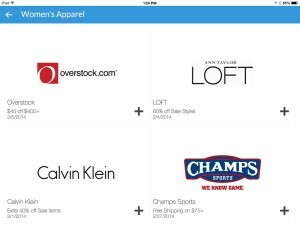 The initial screen of the app shows thumbnails of the “catalogs” available and a search box to search for Stores and Brands. There are currently 16 catalogs shown. Under the catalogs are the Featured Offers. Touch one of the catalogs and you will get a magazine style view with the offers found for that category. Flip through the “book” and you will see the current offers in that category. Touch one of the offers and you will be taken to the website via the Safari app. 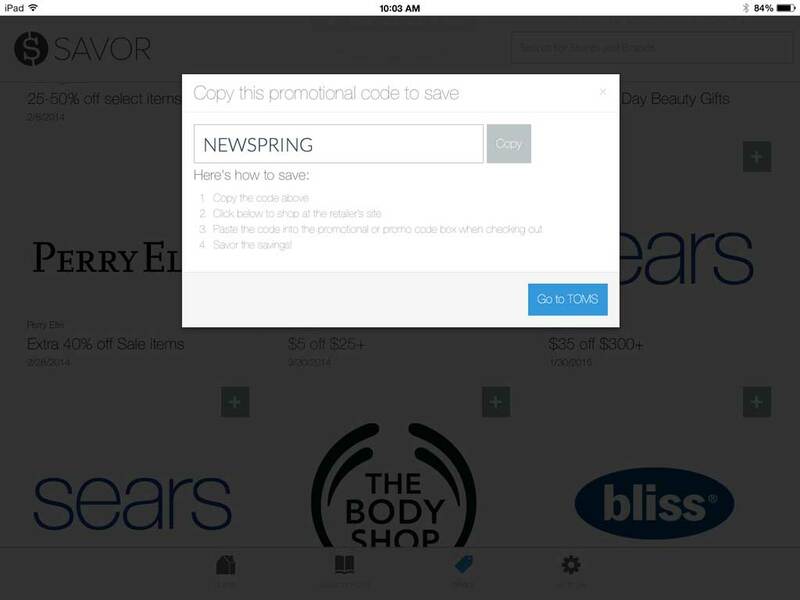 If the offer has a coupon code, you will first see a window with a button to press to copy the coupon code and another button to go to the website. Astra Jigsaw HD is a jigsaw puzzle app that provides an experience akin to solving a “real” manual jigsaw puzzle. 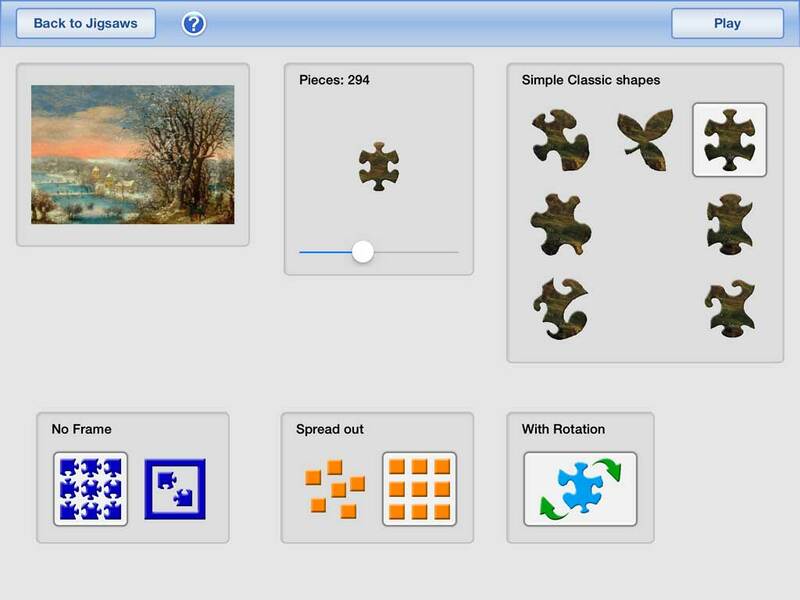 The app can be used by children, but it is also a very satisfying experience for adults who enjoy jigsaw puzzles. The app comes with a free collection of 9 jigsaw puzzles. 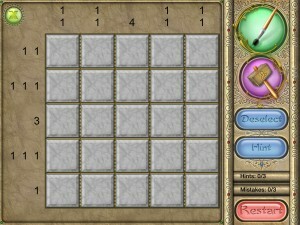 Select a puzzle and touch the Open Jigsaw button. 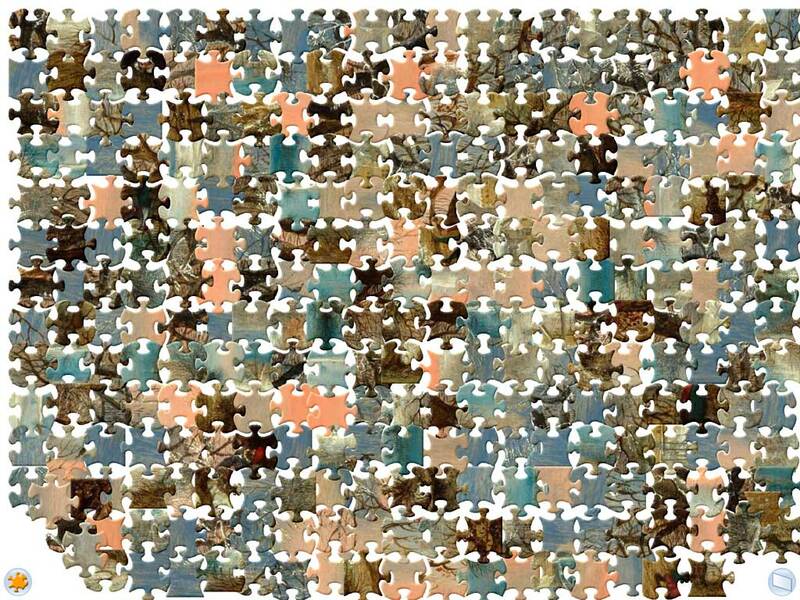 You can select the number of pieces, from 12 all the way up to over 900 pieces. (I find between 200 and 300 pieces is a comfortable size to work with on the iPad.) There are puzzle shapes to select including the classic shape. You can add a frame and decide whether to spread the pieces out. 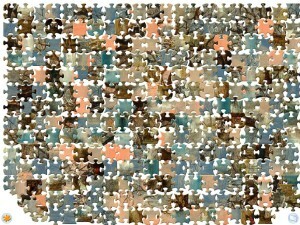 In addition, to make the puzzle more challenging, you can choose to rotate the pieces. To rotate, touch a piece with one finger and move another finger clockwise or counter-clockwise anywhere on the screen. Astra Jigsaw has 2 windows to work with. Keep the pieces you are currently putting together in one window. Keep the other pieces in the second window and you will have more room to work in the “working” window. Touch the box at the bottom right of the screen to switch to the second window. Touch the box on the second window to get back to the first. You can select a group of pieces by “drawing” a box around them with your finger; you can then move them around or double tap to move to the other window. To join pieces move them next to one another and if they fit, they will snap together. When pieces are joined they will move together if you touch them. This is useful when you have a lot of the puzzle completed as you can move pieces out of the way to make room for pieces you are working with. Snap Collage is an app that will create attractive collages. It also has significant Photo Editing capability. When you open Snap Collage, you are presented with a scrolling list of layouts at the top of the screen and a view of the albums on the iPad. As you select photos, the layouts at the top will change to accommodate the number of photos selected. Touch the desired layout to begin creating the collage. Photos can be rearranged and resized in the collage. Touch an individual photo to edit it. Even though the photo has a shape in accordance with the collage layout, you can alter the shape by selecting from various possibilities, such as a heart, a triangle, a star and many more. You can change the photo by selecting a new photo from your albums or taking a new photo with the camera. You can also flip or rotate the photo. Touch the pencil in the box to bring up the Photo Editor.